Capsule Active Trainers EEE Fit is rated 2.9 out of 5 by 19. 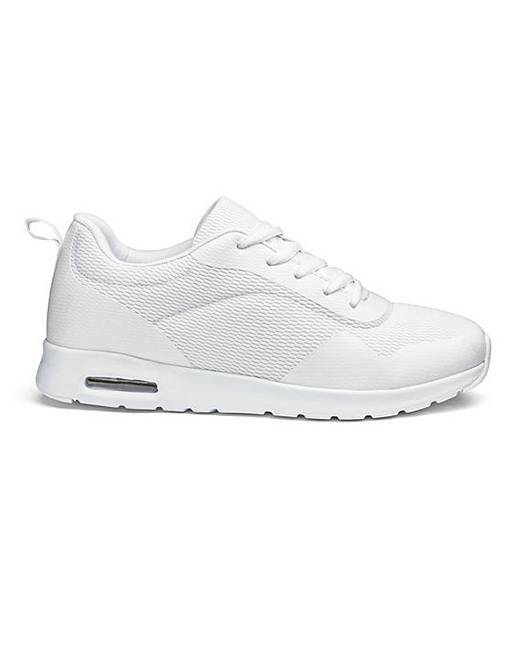 Update your look this season with these on-trend lightweight trainers. 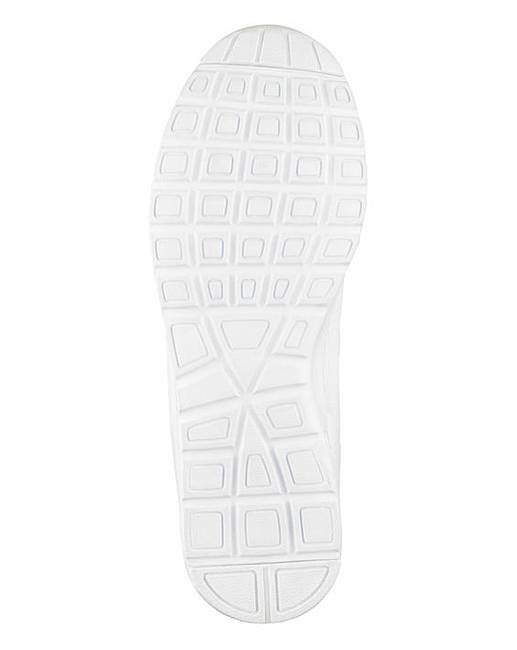 Lace-up fastening, honeycomb breathable in sock and a lightweight cushioned sole. Wear with your favourite jeans to give your outfit a leisure look. 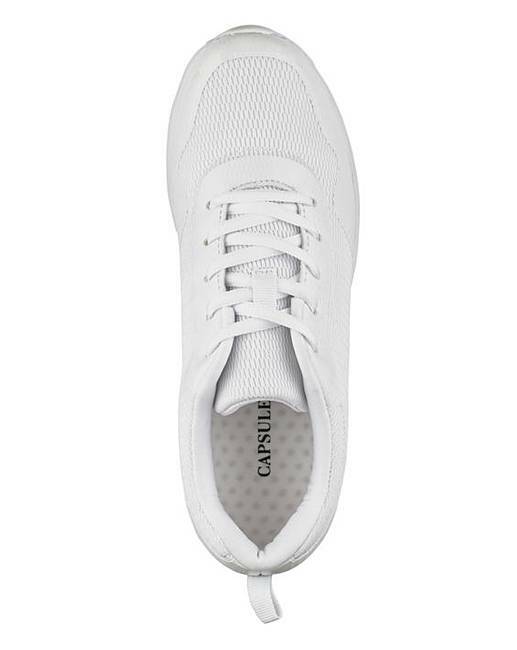 Rated 2 out of 5 by dorbrijac from Capsule Active Trainers I returned these trainers yesterday.Although they are supposed to be EEE size they certainly do not appear to be so. Rated 1 out of 5 by Fozia from Not EEE fit! The shoes claim to be EEE fit but are not! Really disappointed. Rated 4 out of 5 by Jan45 from So comfortable! 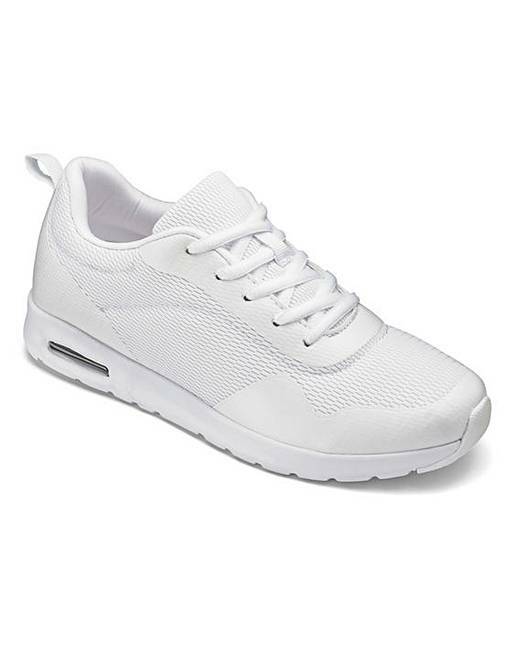 I have these in blue, black and white and they are all worn frequently. They are great to wear and still look as good as new. Rated 1 out of 5 by lindy27 from Terrible fit! I bought these as they had an extra wide 'EEE' fit. I usually wear an 'EE' fit but I ordered these as I do a lot of walking and wanted a wider shoe to take thicker socks during the cold weather! I can barely get my feet in them they were so narrow - a lot narrower than my current 'EE' trainers. There is no way these are an 'EEE' width! Very disappointed and returned them straight away. Rated 1 out of 5 by Really disappointed from How can you call these “WIDE” EEE I ordered size EEE “WIDE”. You make and sent stupidly thin, narrow what more can I say!!! Please see photo below: on the left my normal “new balance” but I wanted to get my proper size 5EEE. On the right are your joke! What planet are you on? Rated 5 out of 5 by LynneM from Very comfortable Really light and good wide fit. Wore them all day and walked miles during first walk and they were great. Considering buying spare pair whilst they're available.